It’s time to try my very first dark chocolate mousse recipe ever! 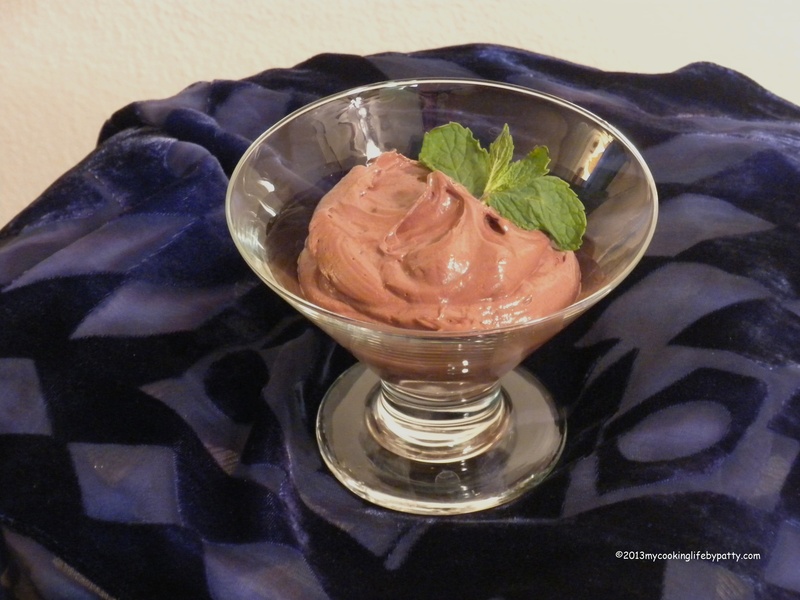 I gave a lot of thought to how I would start my monthly mousse adventure in which I will try a different dark chocolate mousse recipe each month during 2013. Do I want to start off with a vegan recipe or some kind of alternative ingredients? Start with whatever looks the simplest and later get into something more complex? Try to invent the recipe right off the bat? If not, then whose recipe do I use? I started my search and found a handful of “to die for” dark chocolate mousse recipes and chose to begin with a classic recipe as rendered by one of the most famous french cooking teachers of all time–Julia Child! No one would be better to learn from–she a Paris-trained chef who wanted to help American women learn the art of french cooking–teaching me, a neophyte mousse maker venturing into the deep end of desserts. 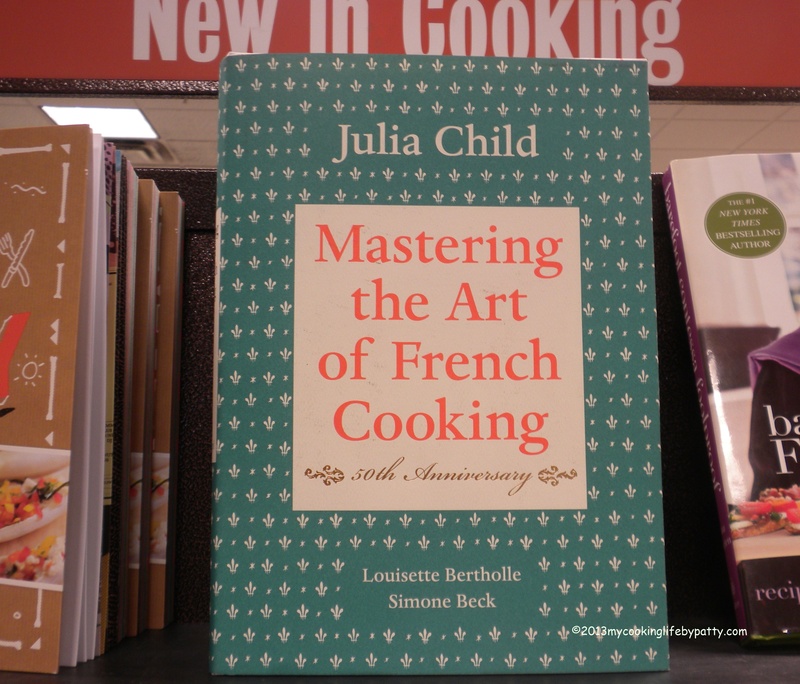 I got the idea while doing a Google search for recipes and came across a David Lebovitz adaptation from Julia’s famous book, Mastering the Art of French Cooking. I was all set to use this adaptation but decided to get the recipe from the source herself. After looking at several likely cookbook teachers (Betty Kettlebottom Crocker, Mark Bittman, the editor of Cook’s Illustrated, Rachael Ray and others) I decided that Julia’s Chocolate Mousse recipe will set an excellent standard for comparison with others I will make for the rest of the series. In fact, I was so impressed with this book and the way it instructs, I bought it. I shopped for all my ingredients and I embarked upon my first ever Dark Chocolate Mousse! The instructions in this book were so easy to follow! Once I had all the ingredients ready, such as the butter softened and the chocolate weighed out, it only took my husband and me about 20 minutes to make this mousse. Beat the egg yolks and sugar together until mixture is thick, pale yellow, and falls back upon itself forming a slowly dissolving ribbon. “How did they figure out all these steps?” my husband asked. “Just three women playing around with eggs and things,” I said. Next we melted the chocolate and beat the butter into it. This is when I really understood that this dessert should be served in pettite portions. Thank goodness we already cut the recipe in half! No use tempting ourselves with five cups of butter, sugar and chocolate at one time! Freshly made, this dessert was very smooth and mousse-like. Excellent for a first attempt! We did our little photo shoot before putting the rest of the mousse in the refrigerator. Here is Miss January! We used a color wheel to determine that Miss January would look smashing dressed in purple silk with a touch of mint green bling. The rest went into the refrigerator and I took a little taste the next day. It was firmer than I expected. My solution was to bring it out of the refrigerator a short while before serving it and the mousse quickly became creamy again. I note here that David L’s adaptation includes folding in beaten egg whites. This would definitely affect the density and is one of the options given in MTAOFC. I am considering making the original Juila Child recipe again using her egg white option and if I do, I will let you know how that turns out. Great texture–really creamy even right out of the refrigerator. Thick, but not sticky. If I chew it, I detect a slight graininess from the type of sugar we used, but overall it is very creamy. The orange flavor is more developed and the color is darker now, like you would expect. I’m tasting layers of flavors–creamy chocolatiness followed by the orange. A little cognac poured over this would be good! The idea here was to duplicate this recipe and I did that except for the type of sugar. For this reason, I cannot include the entire recipe here because it isn’t mine. I didn’t “adapt” it, I followed it almost exactly. This is a point of personal integrity as well as legal copyright and I’m sure you understand. If you don’t want to purchase the entire cookbook, check with your local library to see if they have copies, browse the local bookstore to find the exact recipe or try the David Lebovitz adaptation. I have never made this dessert before and usually don’t work with sugar, egg yolks and this much butter. This is foreign territory for me which is what makes it fun, even if risky! How much will the outcome of these 2013 mousse recipes be determined by the composition of the recipes themselves and how much by the fact that they are being prepared by me–a novice? Now that I have my first dark chocolate mousse classic under my belt (Literally. No doubt this experiment will go straight to my waist and continue south), I will forge ahead on my Quest and perhaps I will create a fabulous dark chocolate mousse recipe of my own or come up with the cleverest of adaptations to give you. Do you have a favorite dark chocolate mousse recipe to recommend or have you got one of your own? Let us know and send us your link! This entry was posted in Chocolate, Cooking and tagged Chocolate, Chocolate Mousse, cookbooks, french cooking, Julia Child, Mousse, orange liquer by mycookinglifebypatty. Bookmark the permalink. Not only do you leave our mouths watering, you really tell good stories, too, Patty. I am still chuckling over your sentence about Miss January in the purple silk. Gee thanks Kathy! You are often an inspiration to me in the storytelling department. It is a real compliment, isn’t it, when someone likes a turn of phrase. Me, I chuckled about the mint green bling! In the area of cooking, I cannot conceive of calling you a “Novice” or “Neophyte”, even for a new dish or new cooking genre! Well thank you Nick, that’s a great compliment. It’s just that I’m new at working with this type of thing–certainly not used to handling chocolate or cooking with sugar! I look forward to the sugar-free versions! I know what you mean! There are a lot of variations using a lot of other things and hopefully I’ll find the best and most authentic-tasting ones.